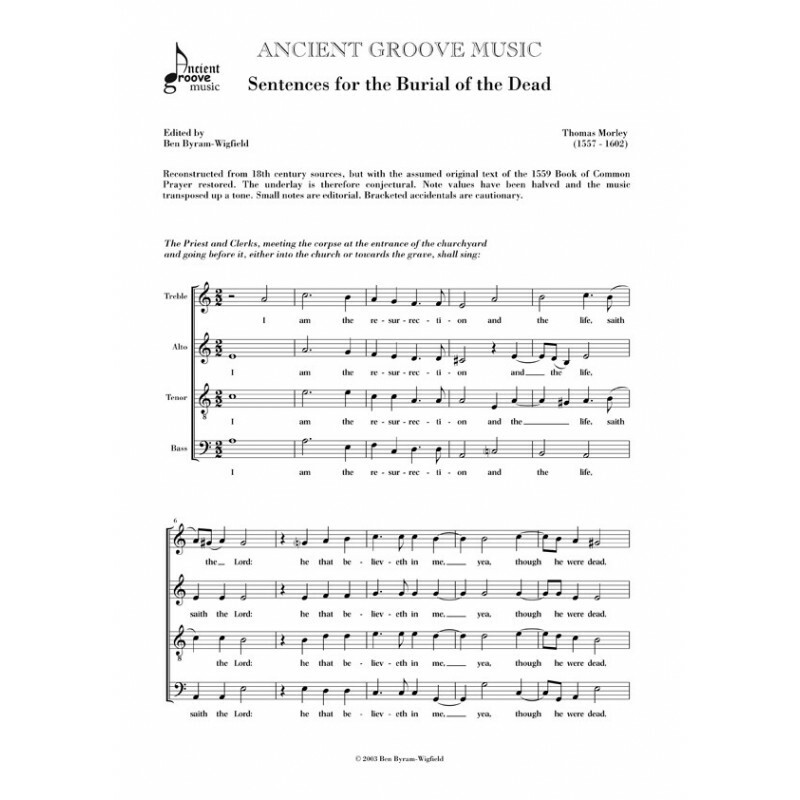 A reconstructed edition of this liturgical gem for SATB. Perhaps the destruction during the Civil War and Commonwealth can account for the lack of contemporary sources of this well-loved collection of short pieces. However, it is more curious that the earliest complete sources date from the 18th century. There is only one 16th century Tenor part book in existence, in which the composer is not stated. Morley is credited as the composer by the time of the Restoration, however, scholars continue to debate whether it really is his work. Obviously, the music was originally set to the text of the Edwardian Prayer Book of 1559. However, the sources use the text of the 1662 Book of Common Prayer, taken from the King James Bible. These different attempts to fit the text to the music have met with varying degrees of success. 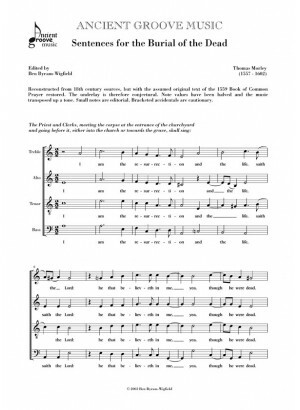 This edition attempts to re-set the original text to the music. The syllabic differences are greatest in the sentences 'I know that my Redeemer' and 'We brought nothing'. For that reason, the underlay and some note division in those sentences is conjectural. Note values have been halved and the music transposed up a tone. Small, bracketed accidentals are cautionary. All other accidentals appear full size, and represent a conflation of the sources and editorial speculation. Small notes are editorial.